Note: This book was updated on 1/22/17. The Complete GMAT Sentence Correction Guide offers a thorough review of all the major grammatical concepts tested on the Sentence Correction portion of the GMAT, and is intended to be used in conjunction with the Official Guide for GMAT Review 2017 and the Official Guide for GMAT Verbal Review 2017. Each chapter is accompanied by a rigorous set of exercises as well as a list of relevant questions from the Official Guides; authentic GMAT material is also used to illustrate the application of concepts throughout the book. 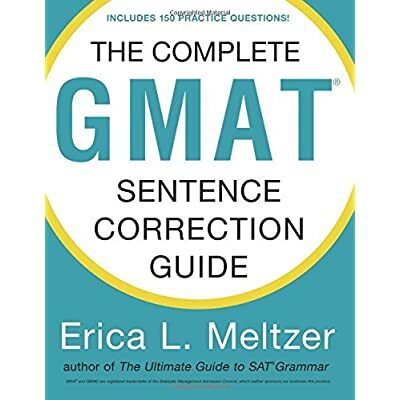 To help students transfer their grammar skills to the exam, this book also contains a chapter devoted to strategies for working through multi-concept questions with maximum efficiency, along with 150 GMAT-style multiple-choice questions.